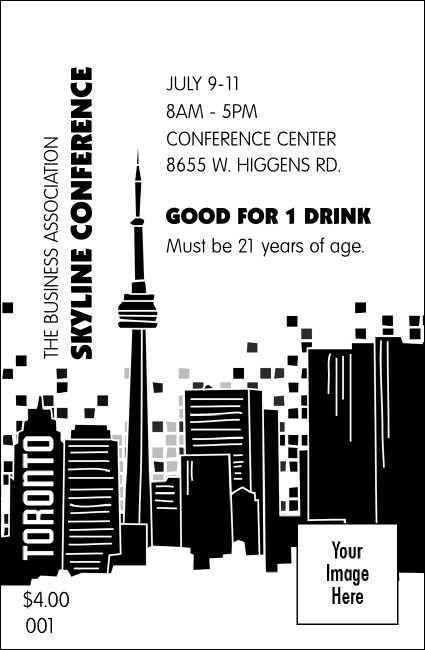 Choosing the right drink ticket for your event is as easy asblack and white when you look at this gray-scale version of the Toronto Drink Ticket. Capture the city of Toronto with a clean cityscape including the CN Tower. Perfect for tourist and city events alike! TicketPrinting.com has the right tickets for your next event!